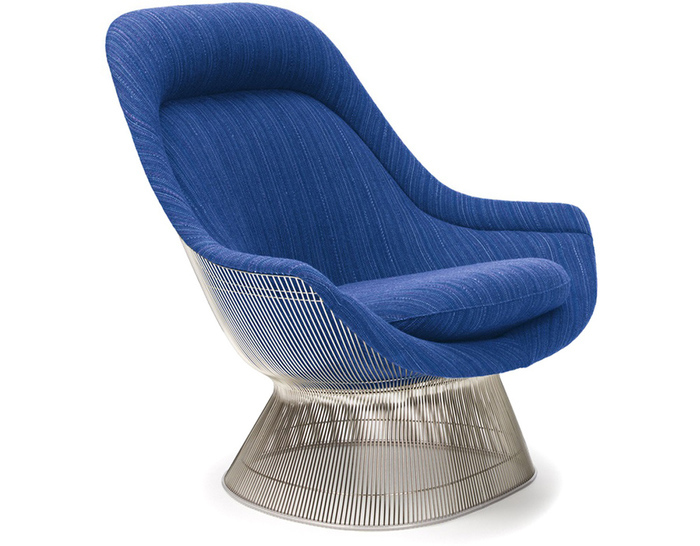 Give your room an elegant touch with a chair that will last. When looking to add more quality furnishings to your living room, leather is a great way to go. Lay back in this cushioned chair and kick your feet up as you listen to the fire crackle in the winter. If blue and orange aren’t your colors, don’t fret. Hive Modern has over 100 textures and colors to choose from. Experiment with new colors or add some pattern to your living room with this chair that’s fit for a king. Nelson Platform Bench (Large), inmod.com. If you’re one for simple and stylish, this bench goes with almost every MCM room. Use it on your patio or dress it up in your living room. Working with a smaller space? Try the Nelson Platform Bench (Small). This bench is so versatile and casual enough to blend with the room. 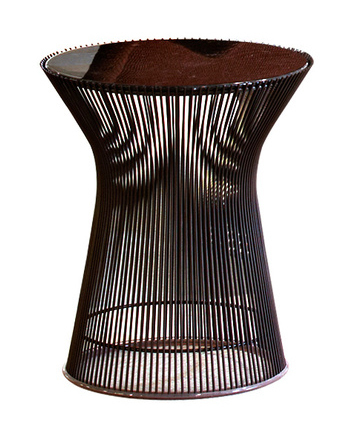 Platner Bronze Side Table, hivemodern.com. This unique table is a cool addition to this open living room. If you have a lot of light in your room, add a table with open slits that helps the light move through the room rather than including a clunky table that blocks off the light. Flow is very important in an open floor plan. 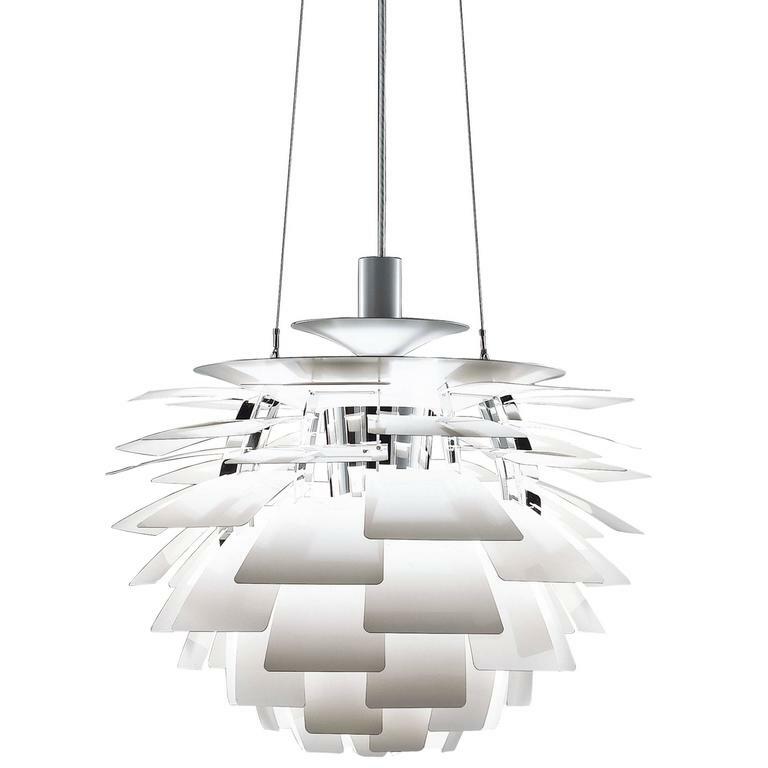 Poul Henningsen White PH Artichoke Chandelier for Louis Poulsen, 1stdibs.com. This room room really balances its vertical space with tall furniture and this elegant artichoke lamp. Give your ceiling some love by adding a chandelier that brings your room closer together. If you’re using a lot of dark colors, a bright light fixture will provide some more balance without breaking the color palette.